Remanufacturing means to collect used empty printer cartridges, clean, refill, test, repack and resell at a fraction of the cost of new ink cartridges. The process of remanufacturing ink cartridges has several steps. First remanufactured ink cartridges must be inspected to ensure that they meet the original manufacturer’s specifications. Cartridges that have become damaged or leak cannot be used for remanufacturing. After a thorough inspection, ink cartridges are cleaned in preparation of being filled with ink. The cleaning is important as inkjet heads often become clogged with dried from lack of use when not printing. After the cartridges are inspected and cleaned, we test our products. We want to make sure that all the parts are working together to exceed the expectations of the original manufacturer. There are many benefits of using remanufactured ink cartridges, from environmental to fiscal savings. Without a doubt the greatest immediate impact to our clients is that we are able to offer a full line of remanufactured ink cartridges at a fraction of the cost and price compared to the original equipment manufacturers. Buying remanufactured ink cartridges from Ink Technologies can easily save your company up to 70% a refill per cartridge. Secondary benefits include having more ink available in the cartridge. We also believe that it is important to be as responsible to our environment as possible and are proud to be a green company, offering a cartridge recycling program for customers to return their unused cartridges and continue the remanufacturing process. But do you have color profiles for your ink? That is the problem with remanufactured cartridges. Also the dolor fastness is not as good with the Epson papers. Thank you for your inquiry about our remanufactured Ink cartridges. 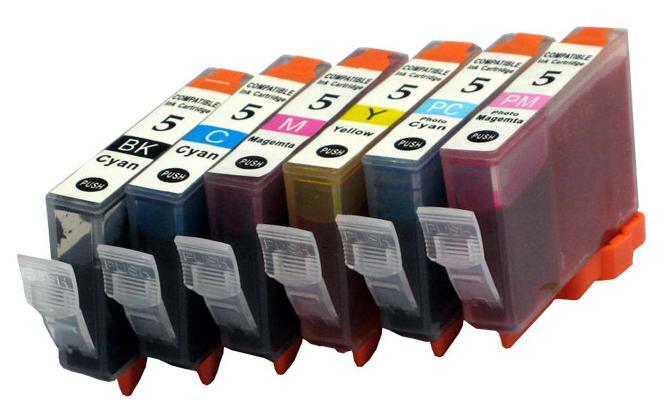 Each Ink cartridge is filled with Ink that is specific to the part and printer that it is used in. This ensures that there is virtually no difference in color between the OEM and remanufactured cartridges. We have tested on a multitude of media and do not see any difference other than in savings to our customers!